What this guided book will teach you…. 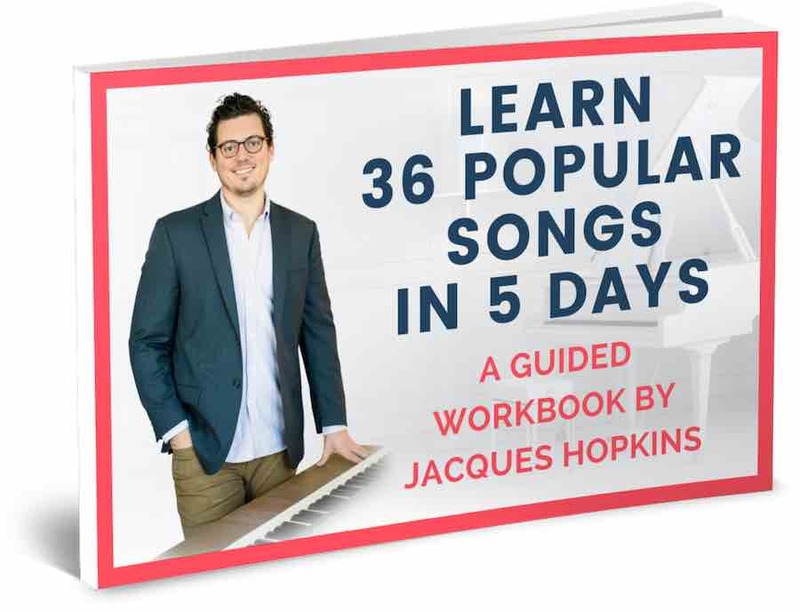 Even if you’ve never even played a piano before, this guided workbook will walk you through step-by-step exactly what you should doing to play the songs you love on the piano. We’re not talking about classical music like Bach or Mozart here. You will learn the songs you actually want to learn how to play on the Piano: Adele, Ed Sheeran, Bruno Mars, etc. How You Can Learn the Piano In a Few Weeks (and not months or years like most piano teachers will have you think). How Learning To Play New Songs (… songs YOU actually want to learn to play… ) can be Easy and Quick. Beginner piano lessons are designed for people with little to no previous piano experience & who want to learn the basics of keyboard skills & music theory. Intermediate piano lessons are offered to those who have already been practicing the piano for several years and want to improve their skills. Advanced piano lessons are for highly skilled pianists wishing to refine their technique or who plan to audition for music schools and competitions. If you’re looking to take adult piano lessons , it can be a rewarding endeavour. Playing piano as an adult is a great activity to relieve tensions and stress – listening to music is a proven stress reliever, so playing it works even better. Most adults wrongly think that it’s impossible to learn to play the piano , but this thinking is incorrect. There are a number of simple considerations to keep in mind when wanting to learn to play the piano as an adult. The best teacher of adult piano lessons will be passionate and really love what they do & not just for the money. Make sure that the piano teacher is experienced at teaching piano to adults, because adults & children’s learning styles are unique. The traditional piano studio are usually aimed at a younger group and you might feel out of place. So do be sure to pick a piano teacher who has taught adults to play the piano. These can be extremely valuable if you do not have time for set lessons. If not just for the easy convenience they are also a great tool to compliment your 1 on 1 lessons as you can go over your teachers last lesson as many times as you need. Take some time to figure out what piano style you really want to play – maybe jazz piano or blue piano. Some people don’t want to learn to read music but just learn to play piano chords and learn to play basic piano melodies. Try to find adult piano lessons that will give you what you’re looking for. There’s will to be a piano tutor that can give you lessons in what you want to learn, as long as you’re willing to put in the required effort.With that said try and take time every day to practice. If you’re committed to take adult piano lessons , it’s going to take a dedication of your time and energy to become skilled. If you choose to have piano practice as a low priority in your busy schedule, chances are you’ll not put in the practice as often as you should and be will then be disappointed by the lack of results and poor playing. 30 minutes per day is enough time to play and practice on the piano. When taking adult piano tutorials , you can easily forget that you’re a student and need to follow what your teacher says. As an adult, you’re are probably used to figuring things out on your own, but this is an entirely new skill set you are learning. So listen to your piano teacher and there is no shame to be a beginner – we all have to start at the beginning, and your teacher will assist you in your musical development. Even if you don’t fully understand the reasons why your teacher’s asking you to do a certain thing in a certain way, remember that they’re the knowledgeable one, and the teacher for a reason. This is true in any learned discipline. If you were already knowledgeable in piano, why would you be taking lessons in the first place? Learn more about adult piano lessons by visiting the main page of PianoLessons.net.au , or by browsing through some of our other piano lesson articles that we’ve posted on this web site. Taking adult piano lessons is really not much different from learning in childhood. But there are two outstanding exceptions that distinguish adult students from child students. 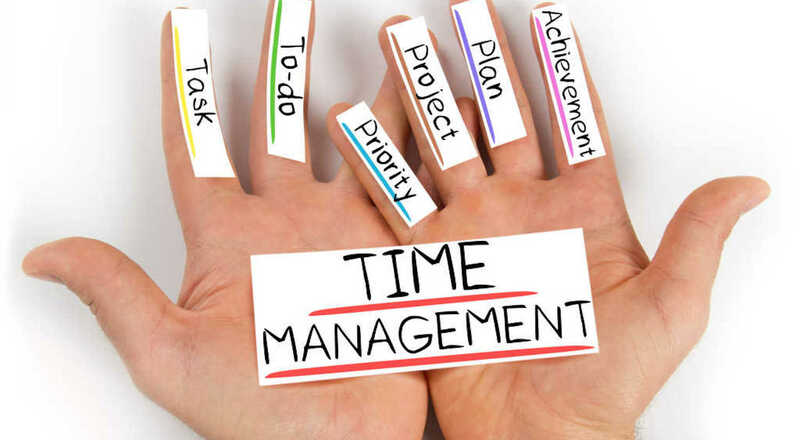 In this article, drawing on my experience as a teacher of adult piano students ages 18-70, I offer some tips about time management and practice that are by far the most important and common challenges unique to adult music students. These factors are what adults should take into consideration before deciding to learn how to play an instrument. There is a widely held belief that music lessons must begin at an early age, and that starting later in life puts one at a serious disadvantage. Researchers in various early childhood education disciplines, including music, consistently emphasize the benefits that music lessons have for developing life skills that are vital to social and cognitive development. But as for learning to play an instrument, adults seem to be no slower in their progress regardless of age, as they often fear (except for some obvious factors of advanced aging such as Alzheimer’s or dementia). Adult students are typically very passionate about learning, which is normally a strong predictor of success across all age groups. So, how early you begin learning to play an instrument is not nearly as important to your ability to learn now. Adult students enjoy just as much progress as any child student, as long as they can manage two challenges unique to being an adult student. As an adult pianist and a teacher of adult piano lessons, I can attest to the challenges we all face in carving time out of our daily routine for regular practice. As adults, many of us have found ourselves living most of our daily lives in a reactionary mode rather than a proactive state of mind. Once you are able to set aside a half-hour to an hour of consecutive daily practice for at least three to five days a week (ideally a total of at least five days a week total in any case), you will be well-prepared to start taking adult piano lessons where you will notice improvement almost immediately. This consistency is important because repetition and consistency is vital to establishing a strong and healthy technique. But motor memory, while it is the quickest and easiest way to memorize, it is also the least tenable form of memory, and skipping days of practice will force you to backtrack and repair holes in your progress, especially for something that is new to you (virtually anything that you have not practiced for at about 3-5 consecutive days in a row). The consistency of daily practice has a strong effect on the learning and enjoyment of playing. This repetition is a wonderfully simple reality of practice – most experienced pianists agree that a lot of repetition and practice time is essential. Famous concert pianists including Rudolf Serkin, Heinrich Gebhard, and Percy Grainger referred to the brunt of their performance relying on “automatic” and “non-mental” repetition, then go on to describe more conceptual memorization strategies (IE those involving an understanding of musical theory, harmony, and form) as a kind of backup plan or tool for long term development of general memorization skills (Chaffin, et. al. Practicing Perfection: Memory and Piano Performance, pub. Lawrence Erlbaum, 2002. p. 36). In my experience, the loss of continuity due to skipping practice is the most common reason adults quit their piano lessons. It is often due to an inability to set aside the time, or sometimes to being too impatient about taking the time to master a concept before advancing to another, that adults quit lessons. This leads to the next question almost all adult students have once they have actually begun learning piano. While children absorb information like a sponge, we adults tend to over-complicate things. But simplicity is the key to facilitating learning. This leads me to answering the question that nearly every adult student has once they have established a steady practice schedule: Should I be thinking anything in particular, or just automatically repeating this? In my experience, as described by all of my teachers and cohorts, and as described by the aforementioned concert artists, the answer is surely more repetition than thinking. Trying to inject extra ideas into an exercise requires extraneous effort that distracts us from the repetition required to master a concept. A common frustration that adults experience in adult piano lessons is spending too much time conceptualizing their practice, or trying to learn new concepts, without isolating and repeating them enough to retain them. A good guideline to follow is to pick music in your method book that takes no more than one to two weeks to learn, and follow the directions of practice in the method book. Do not anticipate and over-conceptualize the purpose of the exercise or piece. Instead, feed your automatic memory the new concept until you can play the piece at the recommended tempo. The method book and teacher will show you what to learn next. After all, method books and teachers are here to simplify the process of learning – simplification is what makes practicing successful. As long as you can plan to maintain a consistent practice schedule and pace yourself appropriately, you will love learning to play piano. Adults are not much different from children in their success with piano lessons, as long as they follow the two guidelines listed above for adult piano lessons. Learning to play an instrument is a rewarding part of our development at any time in our life. Our piano instructors are all classically trained with a minimum of a Master’s Degree level of education and have graduated from highly reputable music schools and conservatories from all around the world including the Royal College of Music (RCM), London, The Juilliard School‎, Manhattan School of Music and New York University (NYU). Each teacher brings their own unique style of teaching and experience to the lesson to help ensure that our students get the best possible piano instruction whilst realizing their full music potential. At Piano Lessons In Your Home our piano instructors all have the same goal in mind and that is to provide the highest quality education in a fun, energetic and welcoming environment. Whether you have an upcoming examination our team of experienced piano teachers are all familiar with the length of time it takes to prepare for each exam and the care needed to ensure that the most appropriate and appealing selection of pieces is presented. Preping for an exam takes careful planning and an awareness of the importance of including all aspects of the exam in the piano lessons on a regular basis. Prior to any upcoming examination we help our students choose suitable pieces for the exam and make sure they have selected the right combination from the correct syllabus. We also incorporate at least a few minutes’ aural training and sight-reading into every piano lesson as well as giving them a mock exam well before the actual event. Our students are also encouraged to perform the pieces to their family, relatives, and friends and to work through several sample papers before the exam so that they get used to the sort of questions that will be asked while staying within the time limit. Finally, we help students to develop their confidence in themselves and their abilities through practicing walking into a room and setting up to perform, as these are often the most nerve-wrecking moments before the actual exam. Whilst music theory, sight-reading, and solfège are all used to train a musician’s ears to recognize intervals and chord qualities, learn how to perform melodies and rhythms accurately at sight, and practice writing down musical examples upon hearing them, Musicianship is about training the student not just to be a player of piano, but to be a true musician. Many pianists are great technically, but they lack that something special which usually separates the great from the average. Good musicianship involves not only understanding how to use the piano but how to convey your story or message to the audience using emotion, passion and flair, allowing you to interpret a piece of music in an original and inventive way while still remaining true to the written score. During each piano lesson students are encouraged to feel the music they are playing and to improvise rather than to simply follow what the teacher is reciting, helping them to develop their confidence and own unique identity as a musician. In music education, solfège is a method used to teach students pitch and sight singing. At Piano Lessons In Your Home we teach solfège using the Kodály Method at every level of music education, from beginner through to advance. The study of solfège enables the student to audiate, or mentally hear, the pitches of a piece of music which he or she is seeing for the first time and then to play or sing them aloud. Solfège study not only improves recognition of musical intervals but also strengthens a student’s understanding of music theory. During our piano lessons, we assign each notes of a scale a particular syllable, and then ask the student to practice them by playing different note sequences using these syllables. The sequences get gradually more difficult in terms of intervals and rhythms used as the student progresses. The seven syllables we use for this practice are: do (or doh in tonic sol-fa), re, mi, fa, sol (so in tonic sol-fa), la, and ti, which makes learning and practicing solfège extremely intuitive for players of all levels. Sight-reading by definition is the reading and performing of a piece of written music that the performer has not seen before. It is also referred to as prima vista, which translates to “at first sight,” which is exactly what we teach our students to master: the ability to read and play a piece of music upon first sight. Just like learning to read words, learning how to sight-read music takes a lot of practice and discipline until it eventually becomes second nature. In each of our piano lessons, students are given a range of different tasks and activities to help them increase their sight-reading ability. They not only become adept at playing the notes accurately, but also learn to read and anticipate the changing dynamics in speed and volume as written. Our exercises focus on honing students’ short-term musical memories to allow them to read ahead while playing a piece so that they play it correctly when they get to that section. Often highly skilled musicians can sight-read silently, meaning they can look at printed music and hear it in their heads without playing or singing it. All musicians are required to have good sight-reading skills as this makes learning new pieces much easier and quicker. As a result students are more likely to try learning new pieces of music by themselves, making them stronger and more well-rounded performers. Music theory is the study of the structure of music. 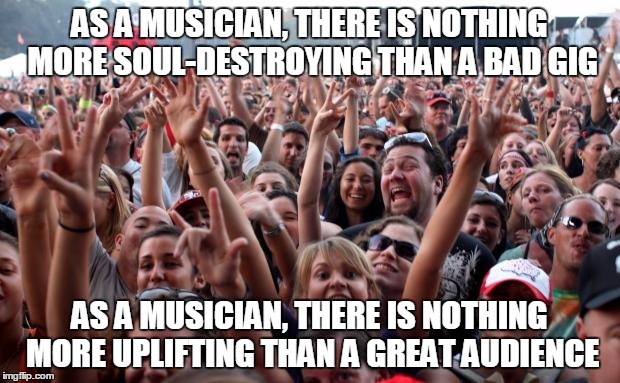 Or more simply put, it’s the language used to talk about the music we hear and play. Learning music theory is one of the most important things a musician can do as it helps them to not only become better performers, but also have a better understanding of the music they are playing and hearing. It also makes musical activities such as performing, composing, improvising, arranging, teaching music, or getting a music degree much easier once one gains a basic understanding of music theory. During our piano lessons students will learn a range of different music theory subjects. The first thing we teach is notation which covers the staff, clefs, note names, rhythms, rests, intervals, meter and time signatures, key signatures, and dynamics. Students will also be taught about scales and chords (harmony), melodies, phrases, and musical forms. Whether you are an absolute beginner or already know a lot about music theory our piano lessons are individually tailored to cover everything from the most basic scales to the most advanced notation.